An authentic bitter like no other! 34 botanicals balanced to create a fragrant and rounded flavouring ingredient - as part of a delicious aperitivo (Spritz anyone?) or in combination to enhance the complexity of cocktails! Handcrafted with great dedication and available in limited quantities, to offer a unique taste of Friuli Venezia Giulia! Inspired by secret recipes created in 1946, these spirits are handcrafted at every stage using only ingredients of the best quality. 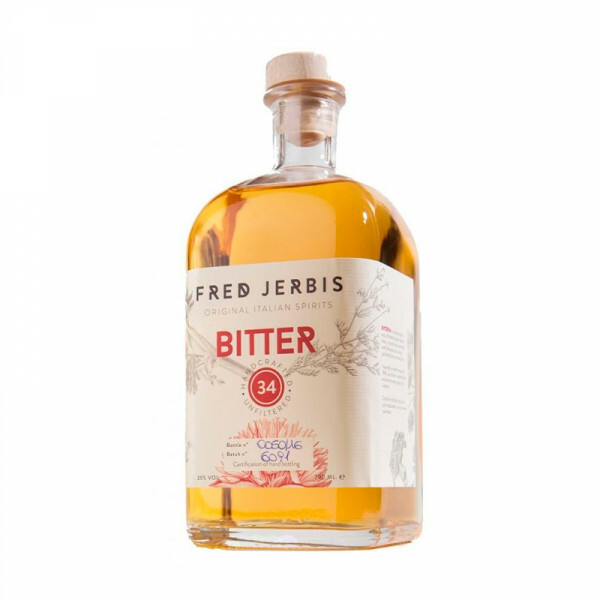 Bitter 34 is the first chapter of the Fred Jerbis project in which the botanicals are the Kings and Queens - perfect in combination with other drinks! This bitter has a delicate but persistent and 'embittering' herbal tone resulting from the gentle maceration of ingredients like gentian root. The sugar and alcohol are harmonious elements here, adhering to the traditional recipe and resulting in a complex and persistent character. The finish is round and smooth, dominated by citrus fruit supported by angelica root notes. NB worry not if your bottle has a little in the way of sediment - this is entirely normal and due to the natural, quality ingredients used, and a refusal to filter. INGREDIENTS: 34 botanicals, as prescribed in an ancient Italian recipe; gentian, angelica, wormwood, orange and lemon, while all the others are highly secret. ABV 25% PRODUCTION METHOD: there are three extractive methods: cold maceration of dried herbs, hot maceration (digestion) steam distillation. 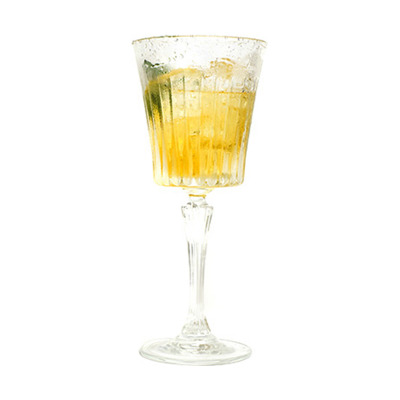 the botanicals are the queens of this Bitter and it is therefore perfect in combination with other drinks.